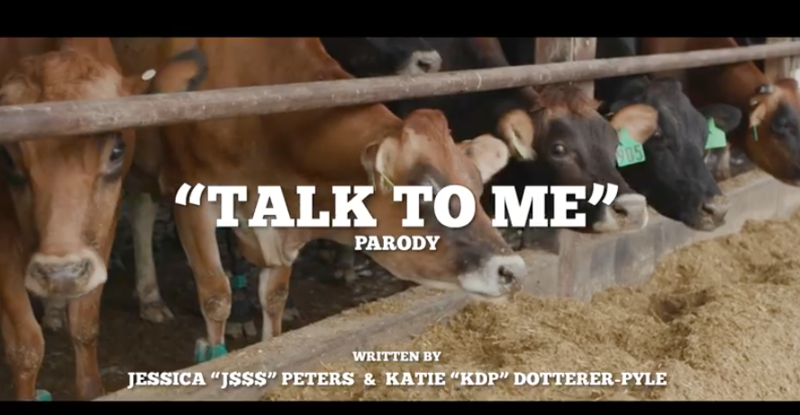 Based off of Bebe Rexha and Florida Georgia Line’s hit song “Meant to Be,” the video was created by dairy farmers Jessica Peters of Meadville, Pennsylvania, and Katie Dotterer-Pyle of Union Bridge, Maryland. Both of these advocates own and operate Jersey operations and share their farm’s stories on social media. Working together, the pair encourages people to ask farmers where their food comes from instead of browsing the internet for an answer. Using the hashtags #TalkToMe and #AskFarmersNotGoogle, the dairy team is hoping to get the conversation rolling between farmers and consumers.